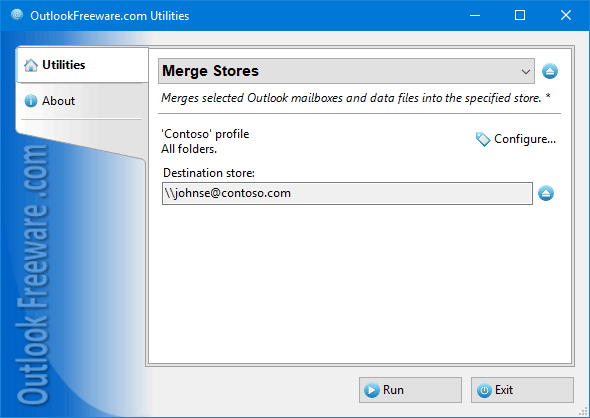 Free tool for merging selected Outlook mailboxes and PST data files into the specified store. Free tool for merging selected Outlook mailboxes and PST data files into the specified store. When you store Outlook archives in PST files, use Exchange Server and Office 365 Online Archives, multiple mailboxes, move from one email service provider to another, and other situations, you may need to merge multiple PST data files or mailboxes into one. Outlook does not provide tools to perform these operations automatically. Direct Mail Robot is an user-friendly bulk email system. It allows you to send personalized emails to your customers, subscribers and friends. You are also be able to manage mailing lists with easy-to-use tool.